I enjoy playing in friendly groups, and am always willing to lend a hand where ever I am able. I am friendly myself, and enjoy working with and getting to know people. The STO forum names were created around 2013, and the name is often not the same as your @handle. Sorry, the forum name is our chief security protocol, and the requirement cannot be waived. When you have posted the comment verifying your ARC/STO name, let me know by either by posting a reply to this thread or sending me a private message in this forum, and then I can complete processing your application. If you need further information or are unsure of what you are being asked to do for the above, please don't hesitate to PM me, or leave a question in this thread. Thank you in advance for your assistance. I look forward to hearing back from you. I assign you as a Ensign to Gamma Squadron (Vipers) under Fleet Captain Pattern. If you haven't already, I recommend you read through our Information Index as it contains information on all our communication channels as well as other important information (e.g., it explains how as a new member, you must go through the Recruit rank for a month before you will have full access to fleet stores in-game). 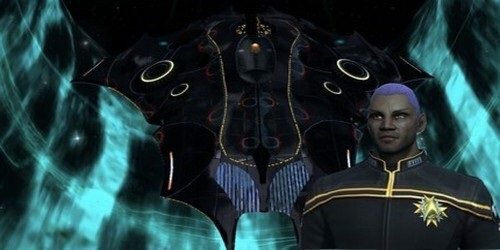 You need to set your forum avatar to Ensign! You can set your avatar at: http://forums.12th-fleet.com/ucp.php?i=profile&mode=avatar, just click on Display gallery, Go to the Local gallery Category Tactical and choose the Ensign avatar (first one on the top left). After that press "submit" and you're done.